Wir packen fleißig aus! 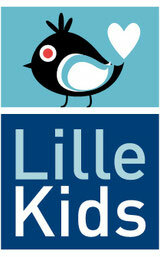 - lillekidss Webseite! Just want to say your article is as amazing. The clearness in your post is simply spectacular and i could assume you are an expert on this subject. Fine with your permission allow me to grab your feed to keep up to date with forthcoming post. Thanks a million and please keep up the gratifying work. hi!,I like your writing very so much! proportion we keep up a correspondence more about your article on AOL? I need a specialist on this area to solve my problem. Maybe that's you! Taking a look ahead to look you. Hi everyone, it's my first pay a visit at this website, and post is genuinely fruitful in favor of me, keep up posting these types of content. I pay a visit every day some blogs and blogs to read articles, except this webpage offers quality based posts. I seriously love your blog.. Pleasant colors & theme. Did you create this site yourself? Please reply back as I'm looking to create my own blog and would love to know where you got this from or what the theme is named. Kudos!